Nearly every morning begins with the thought, “Today, I’m going to start….” I must believe in resolutions to make so many but wish I didn’t. Most fail, lapsing into daydream, abandoned for the next day, set aside as some long-term, never-addressed goal, or forgotten by noon. I keep hoping to become addicted to personal progress. Others seem to, but, so far, the evidence suggests I’m aiming much, much too high. You hear it’s good to make resolutions public. If you say you are going to run that marathon, friends will ask about your training, and if you say you want to lose fifteen pounds, they will compliment you on the slightest evidence of accomplishment. Almost everyone I know is so busy they can’t remember which friend is running a marathon or losing weight. A world where “Standing still is falling behind” offers little rest, less companionship. My friends don’t have any effort left over to cheer for me. They’re busy wondering why I’m not doing better with noticing their personal improvements, which is something I’ve been meaning to do. 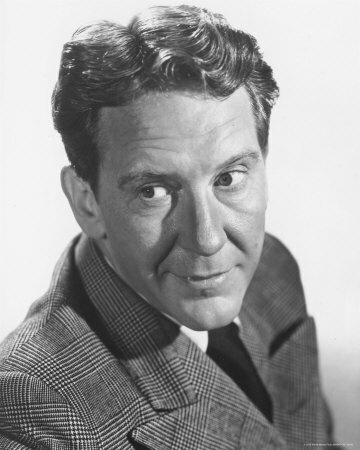 Where’s Burgess Meredith when you need him? A personal Micky, Rocky’s manager, would help so much. With a curmudgeonly companion, someone to hector me relentlessly and remind me of how short my efforts fall, maybe I could be terrified into accomplishing one of my idle dreams. Actually those are all the Facebook posts of one friend. They aren’t working. I know I’m supposed to be inspired (and want to be) but can’t sustain my attention for long. Maybe it’s too much coffee—got to work on that. Yesterday morning, on my way to school, I developed an elaborate plan for designing fabric. I’d use my paintings and a site I stumbled upon online to make the cloth, which my daughter would help me sew—we already have the machine!—into ties, pillows, and other items appearing in quirky catalogs and stores where other people shop. Soon, my designs would catch on, and I’d have a second career to pursue in my leisure. Only, I have little leisure, and most of it is spent staring at Netflix, stupified by lassitude and disappointment. By the time I reached my destination, the plan had boiled off in the heat of more immediate concerns: I wasn’t really ready for first period. There’s an analogy there, but I’m sure you get it and I’m too pooped to explain. A Mexican proverb says resolutions are like old horses that are often saddled and rarely ridden. I need a nap before I can finish saddling mine. One of my daily resolutions is to sleep more, but that will have to wait. I’ve so much to accomplish. Can’t tell you how much I identify with this and feel slightly better that I’m not the only one in this leaky boat. Thanks. There’s so much consolation in company.